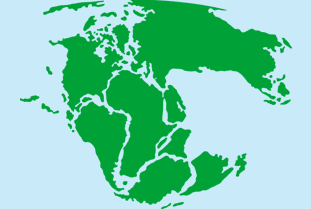 For those of who may not be aware Pangaea was a supercontinent comprised of all that we have come to know today as continents. You may have looked at a map at some point and said, “It almost looks like those continents could fit together”, in reality at one point they did, sharing flora and fauna and looking up at the same sky and stars. Think about the ways in which IT interacts with your business today versus in the past. In the past all functions within an organization may have aligned to the business objectives with little consideration on what effort was going in to make these goals reality. Over time functions within the organization started to diverge from each other. While the business and IT (and other shared functions) still had an understanding of where the business was going, there was a gap which prevented teams from making decisions which spoke directly to achieving the business outcomes. Much like in the Pangaea example, as more time passed there were other environmental challenges which arose on the newly formed continents which in effect drove them further apart from the business. To compensate for these changes IT may have come up with a strategy to get back on course. Again these countermoves we believed to get the units back on track. In reality they may have only got them back in line with what IT believed their goals were supposed to be. Whether or not they were truly aligning with the business would have been a good question at this step but, because these shared services were still producing good results the business may have been satisfied with what was produced and no further discussion may have been initiated by anyone. There comes a point however when the gaps between the continents start to become large enough where the similarities we shared in Pangaea is starting to disappear. While we are still looking at the same sky we have very different sets of ecosystems in which our functional units exist. We now have kangaroos. To be clear there is nothing wrong with kangaroos but despite our change in the landscape we still need to work towards the same goals as our business. As IT we need to stop and think about what challenges are present in getting alignment with our business units. The first step is really to determine the gaps so that we can build a strategy to reconnect. This is not an easy task and will take some time so ensuring that there is commitment to doing this is critical. As an employee I have been to several sessions where a roadmap to success was outlined and in the coming months the initiative seemed to fizzle out, it’s likely you too have experienced this. Review your strategy regularly with all stakeholders from IT and the business to ensure we stay on target. This may be your organizations Panama Canal or Channel Tunnel. The end result will enable your organization to move forward together to achieve great business outcomes rather than mediocre ones.